Paramount Home Media says “open the door!! 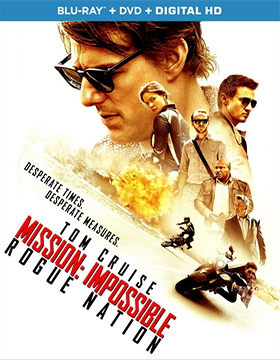 !” on Dec. 15 for Tom Cruise’s latest box office smash, Mission: Impossible: Rogue Nation. On that date look for both DVD and Blu-ray/DVD Combo Pack editions to be retail-ready. The ARR is 137 days and domestic ticket sales were a robust $193.6 million. This film franchise is a winner for Cruise and he can return as Ethan Hunt as many times as he wishes (figure 2018 for the next installment). This is quite the year for important film franchises. We had Avengers kicking off the summer hit parade on May 1, Mad Max made a triumph return on May 15, the dinosaurs scored big (once again) on June 12 with Jurassic World, for fans there is nothing like Arnold as the cyborg from the future in Terminator: Genisys (July 3) and bee do, bee do, bee do with The Minions the following week (July 10) and of course Mission: Impossible added a fifth chapter on July 31. That was just a sample of the summer fun … now comes Bond, Daniel Craig as James Bond/007 in Spectre on Nov. 6, The Hunger Games: Mockingjay - Part 2 on Nov. 20 and the mega-monster film franchise of them all, Star Wars: The Force Awakens on Friday, Dec. 18 (countdown clocks are all ticking away). Mark 2015 as the year of the Hollywood film franchise — large and small. Fans can catch Mission: Impossible: Rogue Nation, complete with Tom Cruise’s breath-taking stunt, on every device possible while they wait in line for Star Wars: The Force Awakens … the timing of the release is spot-on. As to that much talked about “stunt,” there were no doubles in that takeoff sequence. If the safety line snaps (which is, of course, digitally removed for the film), it’s goodbye Tom. Can you imagine Stanley Kubrick shooting that sequence … “ahh, Tom, let’s do that one again, it wasn’t quite what I was looking for.” “No, let’s do that one more time.” “Tom, it’s not working for me, once again.” Nightmares of Eyes Wide Shut (over a year of filming)!!! Writer/director Christopher McQuarrie, who won the Oscar for his brilliant The Usual Suspects script, does a lot of smart things with this entry in the Mission: Impossible film series (very nice writing touches). And Cruise is relentlessly smart in knowing when to be the center of attention and when to let co-stars Jeremy Renner, Simon Pegg and Rebecca Ferguson have their moments. Indeed, Simon Pegg as Benji seems the perfect sidekick to Cruise’s Ethan Hunt. This is a film that you can watch again and again and never get bored. It flows, it moves and it is what every studio hopes for when the next installment of a film franchise is planned. 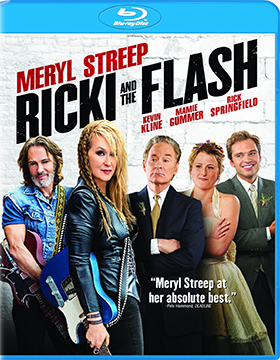 The early trailer for director Jonathan Demme’s Ricki and the Flash gave one the impression that Meryl Streep was borrowing a film idea from Tom Cruise and doing Rock of Ages-like gig. While there are rock ‘n roll elements, Ricki and the Flash is more of a tale of failed family relationships, with Streep’s real-life daughter, Mamie Gummer, up-staging mom at every turn. Sony Pictures Home Entertainment has selected Nov. 24 as the street date for DVD and Blu-ray SKUs. The ARR works out to 109 days and ticket sales for the film’s August theatrical run were a lackluster $26.8 million. Streep is certainly believable as Ricki, the aging and failed rocker, whose career choices over family never panned out, but it is Gummer as her daughter Julie who delivers the stronger of the two performances. She is costumed and made to look “plain Jane” — a polar opposite to her mother’s flashy and provocative style — and in doing so projects heartbreak at every turn. She’s angry with her mother (a lifetime of reasons) and devastated over being dumped by her husband. A nice ensemble cast — that includes Kevin Kline, Audra McDonald and Rick Springfield — does their best to perk up this downer of a film. The musical numbers are solid, but in the end Ricki and the Flash needs more flash and less soap. 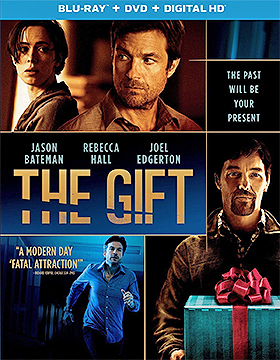 Universal Studios Home Entertainment announced this past week that writer/director Joel Edgerton’s tense thriller, The Gift, will be heading to the home entertainment market place on Oct. 27 as both DVD and Blu-ray/DVD Combo Pack editions. The ARR is a surprisingly quick 81 days, which suggests that Universal, with its very successful summer theatrical slate, is moving The Gift to market to clear the decks for the likes of The Minions, Straight Outta Compton and Ted 2. For the record, ticket sales were a solid $43.7 million. Warner Bros. Home Entertainment is a bit sluggish of late in getting the news out about its new-to-DVD film vault selections, but that can easily be forgiven and overlooked if the powers that be continue to mine those golden cinematic nuggets on a regular basis. 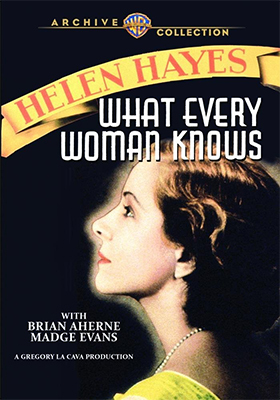 The latest news relates to a three-film selection that will street on Oct. 6 celebrating the career of two-time Oscar-winning actress Helen Hayes (wins for The Sin of Madelon Claudet and Airport). Included in the mix are Another Language (1933, opposite Robert Montgomery), What Every Woman Knows (1934, with Brian Aherne and Madge Evans) and Vanessa: Her Love Story (1935, once again teaming with Robert Montgomery). 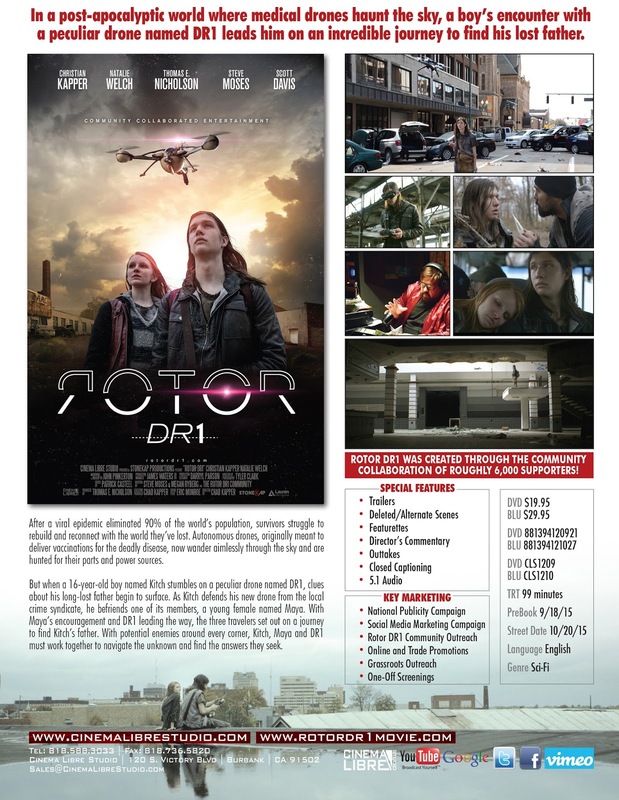 Alert: Cinema Libre has DVD and Blu-ray editions of director Chad Kapper's Rotor DR1 slated for release on October 20. It started out as one of those “programmers” that populated post-war theatres in the late 40s, but ended up being one of the best Western films of 1948. 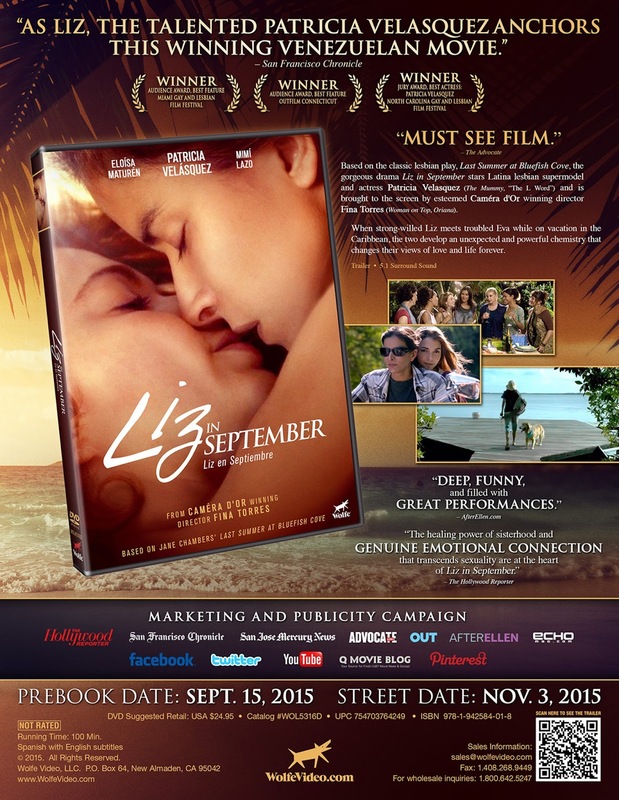 And it is coming to DVD on Nov. 3 courtesy of VCI Entertainment!!! Television wasn’t a commodity as of yet and theatres were packed during the summer of 1948. The war was over and films were needed and prolific filmmaker Ray Taylor, a master of serials (Flash Gordon Conquers the Universe, Don Winslow of the Navy, The Adventures of Smilin' Jack, etc.) 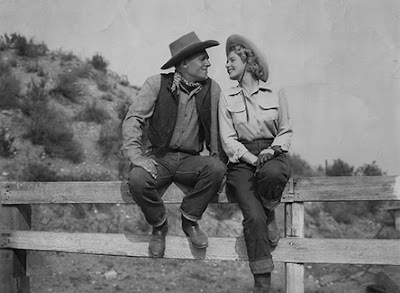 and Westerns — with over 150 directing credits — had the ability to shoot and edit in camera. That was learned craft-skill where he could line up the shots, shoot quickly and then just as quickly move onto the next assignment. His assignment from Robert L. Lippert Productions that year was The Return of Wildfire and he delivered a quick programmer (much in the style of the half-dozen PRC films that he had churned out earlier in the year), but producer/writer Carl K. Hittleman saw an opportunity to expand Taylor’s efficient work product with additional footage that would flush-out a secondary storyline that would change the film from a quickie programmer to a full-length feature. 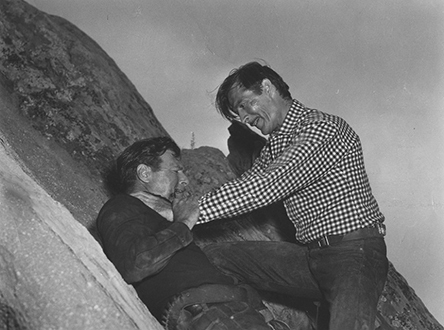 Hittleman asked veteran film editor Paul Landres, who was already assigned to cut the film, to shoot additional location and action footage featuring Wildfire (aka: Highland Dale, the future star of the Fury television series of the mid-1950s and who had just scored big time in the 20th Century-Fox release of Black Beauty in 1946). 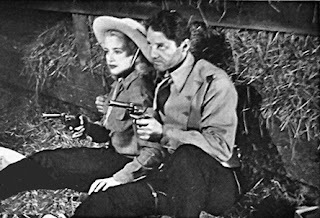 Landres did so and then brilliantly cut together the Taylor footage, featuring Richard Arlan as a range drifter who comes to the aid of sisters Pat (Patricia Morison) and Judy Marlowe (Mary Beth Hughes) after their father (Stanley Andrews) is murdered in a scheme to take over their horse ranch, with the additional footage of the prized stallion Wildfire leading “his” band of wild horses and battling a rival for dominance of the herd. The Return of Wildfire, instead of being a 58 to 65 minute Western programmer, was now a full-length feature clocking in at 83 minutes. Paul Landres, who served as a film editor at Universal Studios for years, used this opportunity to “direct” — even though he received no screen credit for doing so — as a springboard to future assignments. By the mid-1950s he became one of the most prolific television series directors with episode work on such series as Mr. and Mrs. North, Topper, The Cisco Kid, Boston Blackie and The Lone Ranger (and many more). The Return of Wildfire makes its DVD debut on Nov. 3 under the release banner of Western Double Feature, so film buffs and Western fans not only get this 1948 film gem, but VCI Entertainment has teamed it with Last of the Wild Horses, which has a story all of its own. 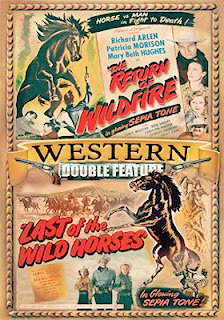 Producer Robert L. Lippert was so pleased with Landres work on The Return of Wildfire during the summer of 1948, he offered another opportunity for the Lippert Pictures’ Christmas release of Last of the Wild Horses. Lippert took the producing and directing credit, but one suspects that most of the work here is from Paul Landres (who got credit for film editing). James Ellison (The Plainsman, The Undying Monster, I Walked with a Zombie, etc.) stars as Duke Barnum, a cowboy who is mistaken for an outlaw and murderer. But with the help of the winsome Terry Williams (played by Mary Beth Hughes) he is able to clear his name and reputation in a climatic courtroom showdown. Last of the Wild Horses — also feature-length — is not quite in the same league as The Return of Wildfire, but in the context of being the under-bill on this Western Double Feature DVD release it fits perfect. VCI Entertainment has a real winner here!! Halle Berry returns on Dec. 15 as astronaut Molly Woods in both DVD and Blu-ray editions of Extant: The Second Season. In the first season she returned to earth from a 13-month “solo” mission in space pregnant, which is mystery enough, but she also has to deal with the Humanichs Project — a plan to create a race of superior AI robots. Her “offspring” has ever-growing powers and there is a closely guarded secret about a forthcoming invasion … quite the excitement for just 13 thrill-packed episodes. Now comes season two, Molly doubts her sanity, aliens are here … and the terror of the Humanichs Project continues its relentless expansion. 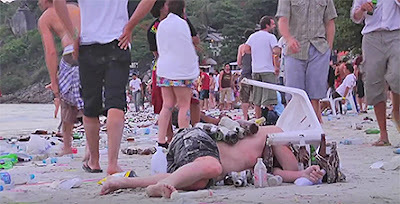 Is this the end of humankind? 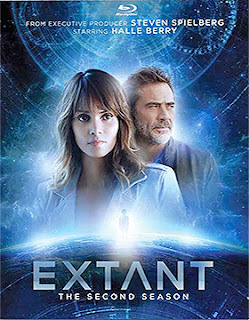 Bonus features include six featurettes — “Extant: A Look At Season 2,” “The Carnival Of The Mind,” “Chemistry: Molly & JD,” “The Season Finale,” “Two Humanichs: Ethan & Lucy” and “A Tour of the Sets — while deleted scenes are exclusive to the Blu-ray SKU. Paramount Home Media is teaming with Nickelodeon on Dec. 8 for the four-disc DVD launch of Dora and Friends: Season 1, the newly-created spin-off of the original Dora the Explorer children’s educational series. This four-disc collection showcases 18 Dora adventures (including two double-length episodes), with viewing options in both English and Spanish. 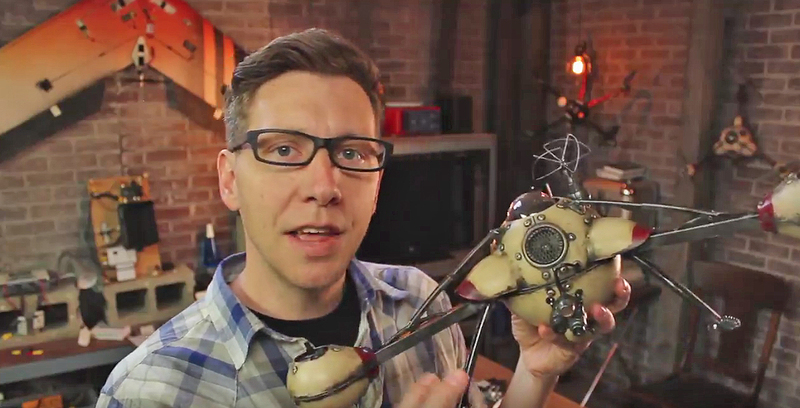 14 of the adventures can also be viewed in French! The Film Chest doubles up the animation action with the Oct. 20 DVD debut of the special edition release titled 2 DVD Classic Animation Set: The Barkleys, The Houndcats. 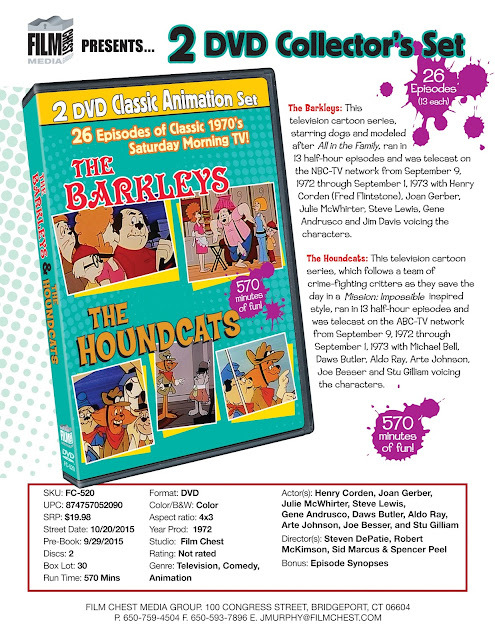 The Barkleys and The Houndcats were both produced by DePatie-Freleng Enterprises in 1972. The creative talents behind this company are better known to the world of animation as David DePatie and Friz Freleng — for nearly 20 years they combined their extensive backgrounds in studio animation to form their own animation production company. Freleng, for example, was responsible for Bugs Bunny, Yosemite Sam and Porky Pig, among others, while at Warner Bros. and it is here that he met DePatie. Their production company was responsible for The Pink Panther theatrical cartoons (two Oscar nominations, with a win for The Pink Phink in 1964), the television spinoff, The Pink Panther Show, The Cat in the Hat and The Lorax television specials and numerous other animated series and specials between 1963 and 1981 … that’s when they sold the company to Marvel Comics. The Film Chest has gathered together two of these DePatie-Freleng Enterprises animated series in this special edition release. All 13-episodes of The Barkleys, featuring the voice talents of Henry Corden as Arnie Barkley (Corden was the voice of Fred Flintstone for many years) and Joan Gerber as his wife, Arnes (Gerber was the voice of Mata Hairi in the Lancelot Link: Secret Chimp, plus numerous series as a voice talent including DuckTales, The Smurfs and The Fantastic Four) are presented here. For the record, the members of the Barkley family are human-like dogs patterned after the All in the Family sitcom. 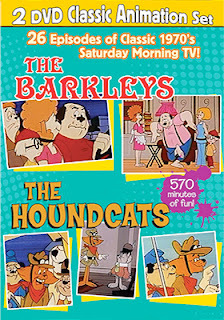 The companion series is The Houndcats, which are a trio of dogs — Ding Dog (voice by Stu Gilliam), Mussel Mutt (voice provided by none other than Aldo Ray) and Rhubarb (Arte Johnson) — and a pair of cats — Stutz (voice by Michael Bell), the leader of the group, and Putty Puss (Joe Besser) — who are secret agents in the spirit of the popular Mission: Impossible television series. 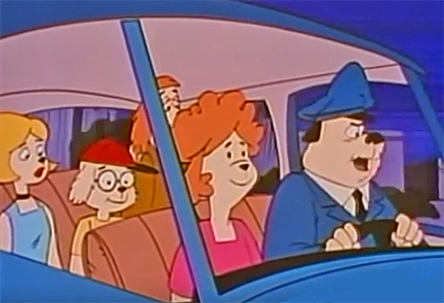 The Film Chest has all 13 episodes that were produced for the series in this unique animation collection. For Oscilloscope Laboratories it is a month-long celebration of all things New York City beginning on Oct. 13 with writer/director David Riker’s 1998 film release of La Ciudad (aka: The City) and ending with the Nov. 17 filmmaker Manfred Kirchheimer’s 1981 magical trip across New York City in Stations of the Elevated with music by Charles Mingus. 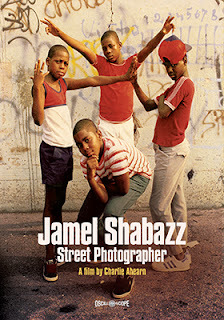 Midway through this celebration is the Oct. 27 DVD release of documentary filmmaker Charlie Ahearn’s 2013 focus on the life and work of Brooklyn’s famed street photographer Jamel Shabazz. Titled simply Jamel Shabazz Street Photographer, this documentary had a brief arthouse run and arrives on DVD with an ARR of 816 days. It took six long years for David Riker to complete La Ciudad, his award-winning story about the struggles of Latin American migrants and their attempts to make a go of it in the big city. In these four vignettes — titled “Bricks (Ladrillos),” “Home (Casa),” “The Puppeteer (Titiriero)” and “Seamstress (Costurera)” — we learn that it isn’t always fair and more than a few people are quick to take advantage of the precarious situations in which Riker’s subjects often find themselves. Bonus features for this new 2K restoration and transfer includes the 28-minute documentary on the marking of La Ciudad, which is titled Cinema from Below, and a newly-prepared video session with filmmaker David Riker and several of the film’s cast members. 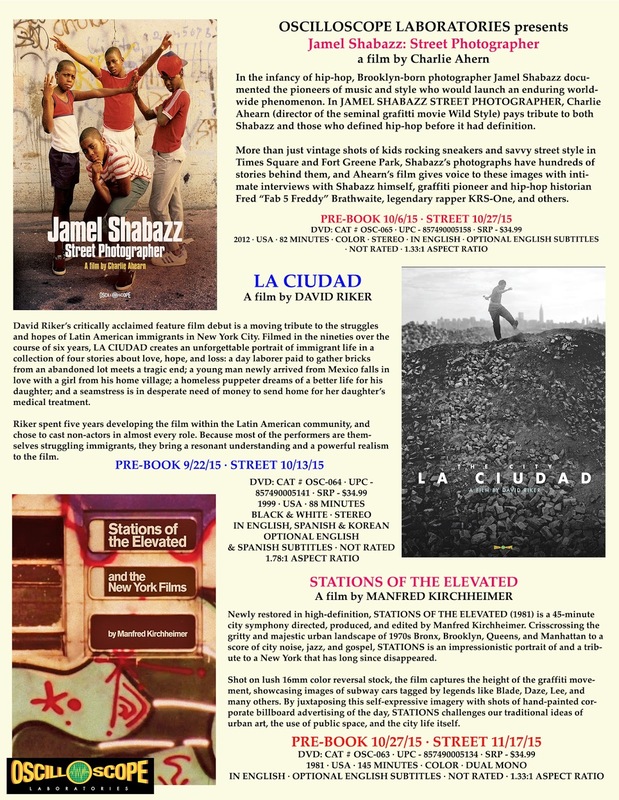 Jamel Shabazz Street Photographer explores the decades-long work of famed photographer Jamel Shabazz, which is a blend of history, art, hiphop and cultural statements. Thoughout Shabazz is front and center and a documentarian in his own right on the subjects — and people — that he has explored on the streets of the city. Bonus features include two new “additions” to Ahearn’s film — “Jamel Shabazz Reflects on His Photos” (filmed in 2014) and “Ahearn Talks Shabazz” (filmed earlier this year) — and outtakes from the film. 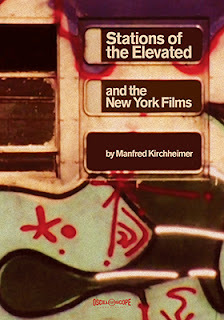 Oscilloscope’s homage to New York City concludes on Nov. 17 with filmmaker Manfred Kirchheimer’s 1981 experimental/avant garde “trip” though the city’s seemingly endless maze of subway lines. Stations of the Elevated is a film that is to be enjoyed for its simple, yet earthy visuals — things that New Yorkers see every day and take for granted — all set to the musical interpretations of jazz legend Charles Mingus. Wolfe has tabbed Nov. 3 as the release date for the DVD debut of director Fina Torres film adaptation of Jane Chambers’ 1980 landmark stage play, Last Summer at Bluefish Cove, which has been re-titled for the screen as Liz in September. Eva (Eloisa Maturen in her film debut) is dealing with tragedy and suddenly finds herself marooned at a lovely beach resort town when her car breaks down. She finds herself at a hotel with welcoming women, which comes as something of a surprise. It is here that we meet Liz (Patricia Velasquez — The L Word, American Family, etc., and as the exotic Anck-Su-Namun in The Mummy and The Mummy Returns), a woman is guarding a secret, it is, however, not that she has a preference for women, but something deeper. She cavalierly boasts to her friends that given a few days she can seduce the new arrival, even if she is married and straight. 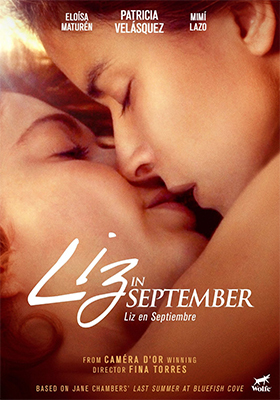 Liz in September is not a film about seduction. It is not a film about secrets. It is, however, a joy and a delight in how the relationship between the two women — Liz and Eva — develops and how the “secrets” the two women carry with them are finally revealed. Also heading to DVD on Nov. 3 is the Silver Lake-based (Los Angeles) dramatic series, Eastsiders: Season 2, starring Kit Williamson and Van Hansis as partners who are dealing with relationship issues that extend to cheating and substance abuse. The biggest movie of the year is Jurassic World. It is the story of thousands of tourists flocking to a once exotic and isolated island to catch a glimpse of creatures long-dead … and shop and dine in luxury. The lesson is, if you build it, they will come. She has also delivered the documentary Gringo Trails, which worked the festival circuit throughout 2014, had a small arthouse theatrical break and now heads to DVD — courtesy of Icarus Films — on Nov. 17. 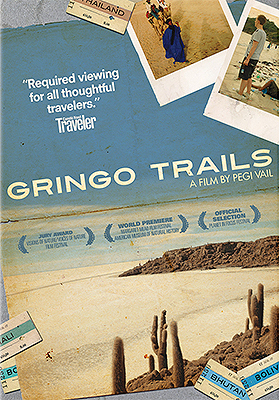 For the record, the ARR for Gringo Trails is 438 days and the limited run box office tally was $7,538 (arthouse exposure to generated media interest and reviews). Jurassic World is fiction. Gringo Trails is not. But they have much in common. Vail has gone to various once-exotic locations — from Mali to Bolivia; Thailand to Bhutan — and demonstrates how backpacking adventurers (way off the beaten path) leads to ever-growing numbers of backpackers (driven by social media) and how the locals begin to adapt to their needs (food, drink, lodging, supplies, etc.) and soon hoards of tourists follow. Everything changes. An isolated beach in Thailand transforms into a New Year’s Eve party beach with over 50,000 drunken revelers. There’s always a need for more — even with the fictional Jurassic Park and the need for ever-bigger dinosaurs to keep the tourists flocking in. You can almost hear Joni Michell’s Big Yellow Taxi refrain, “They paved paradise and put up a parking lot,” in documentary filmmaker Pegi Vail’s insightful work. 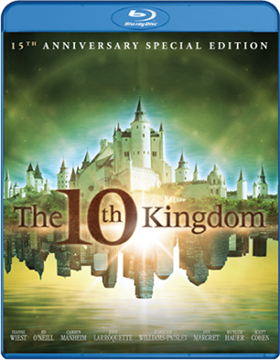 Bonus features include deleted scenes and extended interview sessions with experienced travel writers. Mill Creek Entertainment announced this past week that directing team of David Carson and Herbert Wise’s Emmy-winning mini-series — written by Simon Moore — The 10th Kingdom will be getting a Blu-ray release on Nov. 03. This eloquently produced ten-part mini-series will be celebrating its 15th Anniversary with this double-disc hi-def release from Mill Creek Entertainment. Kimberly Williams-Paisley (as Peggy Kenter in the Nashville television series, Dana in the According to Jim sitcom, and in such films as We are Marshall, Father of the Bride, etc.) stars as Virginia, a 20-something Manhattan waitress who is magically transported — along with her father (played by John Larroquette) — to a magical realm that has been thrown into turmoil by the Evil Queen (Dianne Wiest). As it turns out — as fairytales often do — Virginia is destined to be the one to save the day, but it won’t be easy. The Evil Queen has sent both trolls and a half-man/half-wolf creature (named Wolf and played by Scott Cohen) to dispatch this threat to her plans. Wolf, however, becomes enamored with her and is an important ally in Virginia’s quest to vanquish the Evil Queen. In other release news this week from Mill Creek Entertainment, the three Mega-Set Instant Libraries have been given a new street date. Originally set for release on Oct. 20, they have been pushed back to Nov. 10 to accommodate all orders. Since each of these collections contain 24 discs, it is quite the undertaking. Danger, Death and Dames has an amazing selection of film noir, mysteries, detective and action/drama films, 50 in all. Included are D.O.A. (1950, directed by Rudolph Maté and starring Edmond O’Brien, Pamela Britton and Beverly Garland), Ten Minutes to Live (1932, thought to be lost for years … written and directed by Oscar Micheaux), Limping Man (1953, directed by Cy Endfield and starring Lloyd Bridges and Moira Lister) and Woman on the Run (1950, written and directed by Norman Foster and teaming Ann Sheridan with Dennis O’Keefe). Danger, Death and Dames also contains 150 crime-themed television episodes. For example, there are 25 Dragnet episodes, eight Racket Squad cases and 16 episodes from the husband and wife detective team series, Mr. and Mrs. North, with Richard Denning and Barbara Britton. The next Mega-Set is titled Family Fun House and it features 46 feature films, four silent classics and, are you ready for this, 600 cartoons. Among the film selections are The Admiral was a Lady (1950, directed by Albert S. Rogell and teams Edmond O'Brien with Wanda Hendrix), The Groom Wore Spurs (1951, Richard Whorf was the director and star power came in the form of Ginger Rogers, Jack Carson and Joan Davis) and Heading for Heaven (1947, written and directed by Lewis D. Collins and starring Stuart Erwin and Glenda Farrell). Counted among the cartoon selections are 42 Betty Boop classics and 37 Popeye adventures. And the third selection in this Mega-Set bonanza is titled Robots, Rayguns and Rockets. 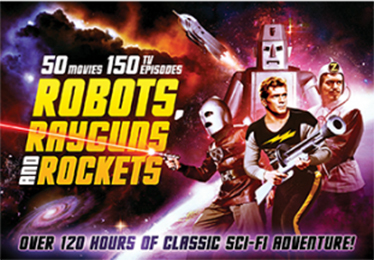 There are 50 classic sci-fi and horror feature films, three complete serial adventures and 114 television episodes (including 23 classic Rocky Jones, Space Ranger adventures). Genre fans can enjoy the likes of The Amazing Transparent Man, Menace from Outer Space, The Incredible Petrified World and They Came From Beyond Space. 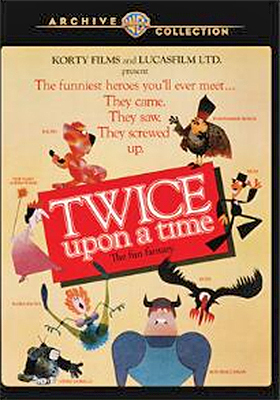 With little fanfare, Warner Bros. Home Entertainment will release on DVD co-directors John Korty and Charles Swenson’s 1983 cult-status animation feature, Twice Upon a Time, on Sept. 29. The film, produced by none other than George Lucas, had a checkered history, including a quick in and out theatrical release and then off to oblivion. Both cuts of the film are included in the release. Also included is a commentary track featuring director John Korty, who is joined by crew members John Baker, Harley Jessup, Brian Narelle, Will Noble, Henry Selick and Carl Willat. 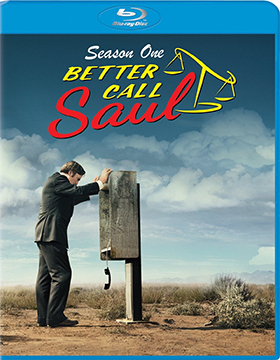 Sony Pictures Home Entertainment has targeted Nov. 10 as the street date for three-disc DVD and Blu-ray collections of the Breaking Bad spin-off, Better Call Saul: Season One. Saul Goodman (Bob Odenkirk) is on the lam (managing a Cinnabon in Omaha) when the series opens and you’re trying figure out how that is going to work out. No problem, we flashback six years to his beginnings as James McGill, a wet-behind-the-ears public defender in Albuquerque (of course). Let the scams begin! Exclusive to the Blu-ray SKU are deleted scenes with commentary, five additional featurettes and a cast and crew roundtable. 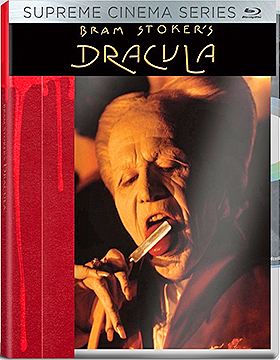 In other release news, Sony Pictures Home Entertainment will launch a “Supreme Cinema Series” line of Blu-ray products on Oct. 6 with a new 4k restoration of auteur filmmaker Francis Ford Coppola’s 1992 film release of Bram Stoker's Dracula. Bonus features include two newly-prepared featurettes — “Reflections in Blood: Francis Ford Coppola and Bram Stoker's Dracula” and “Practical Magicians: A Collaboration Between Father and Son” — deleted scenes, four previously released featurettes and the 1993 commentary track featuring Francis Ford Coppola, Roman Coppola and Greg Cannom (Oscar-winner for Best Makeup, his first of four Oscar wins).